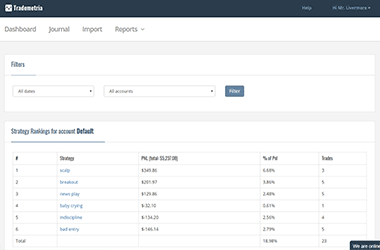 Access your main trading statistics and results within a single page. 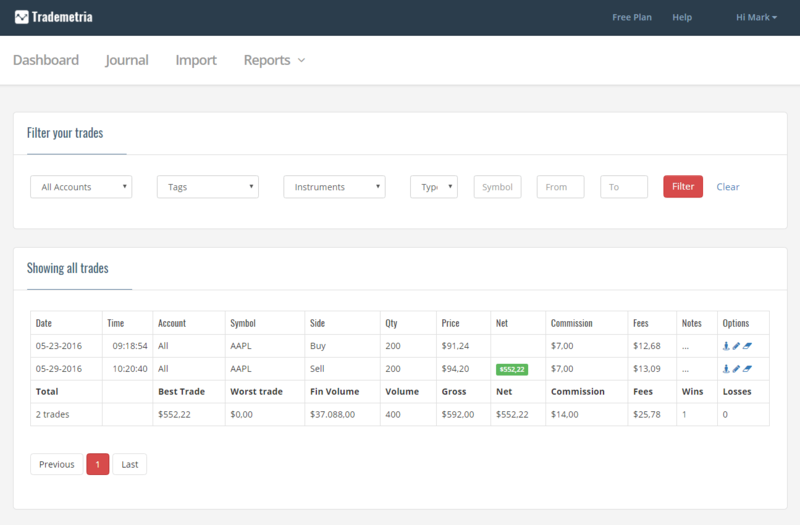 Customize it to see what matters most to your trading business. 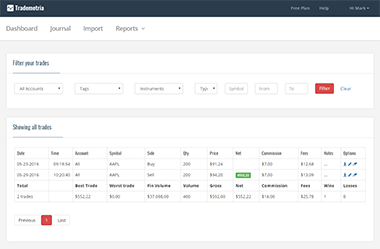 Track combined or segregated equities positions with real time quotes. 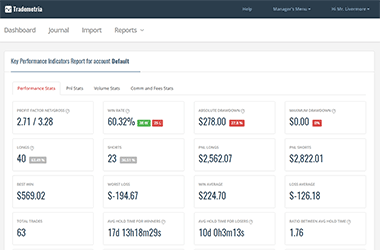 All your account results in one place. 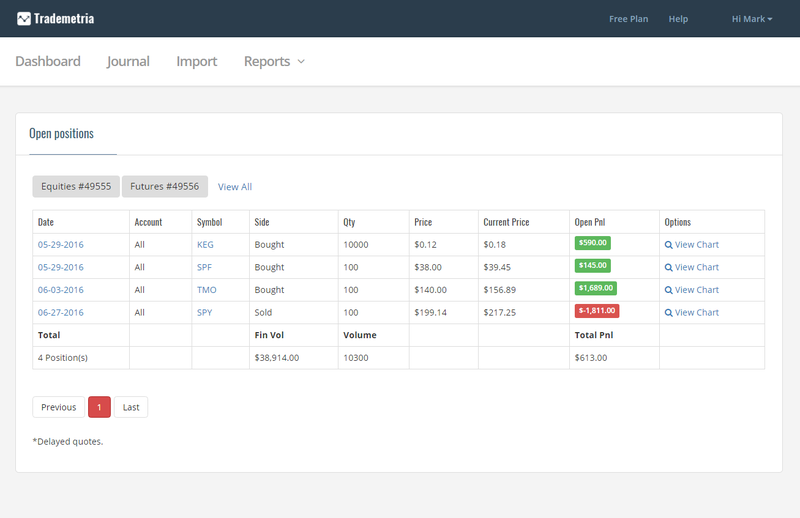 Search and filter trades by strategy, account, instrument, date and take full control of your trading history. We calculate more than 30 trading metrics to help you analyze, understand and optimize your trading performance. Made by daytraders for daytraders, this report will give you an overall picture of your intraday trading. Rank your best strategies, best instruments, best market conditions, best times to trade and discover what needs to be improved. Import manually, by csv or custom files. 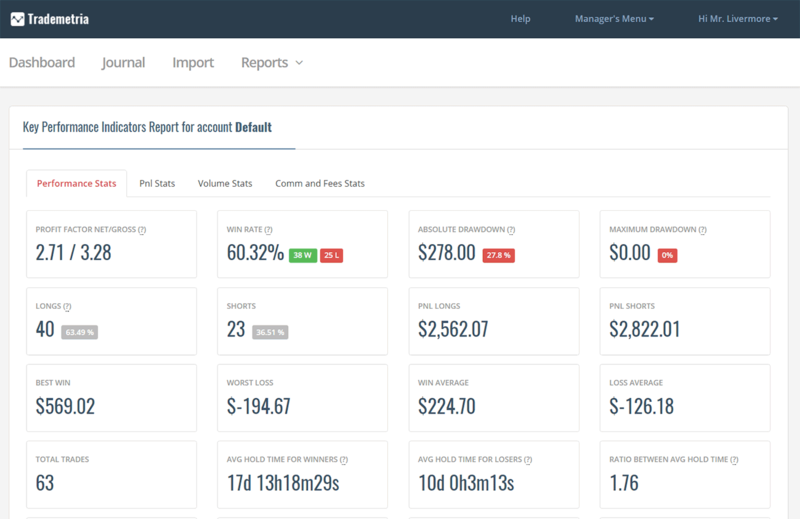 We work with most top trading platforms and brokers to easily import your trades. 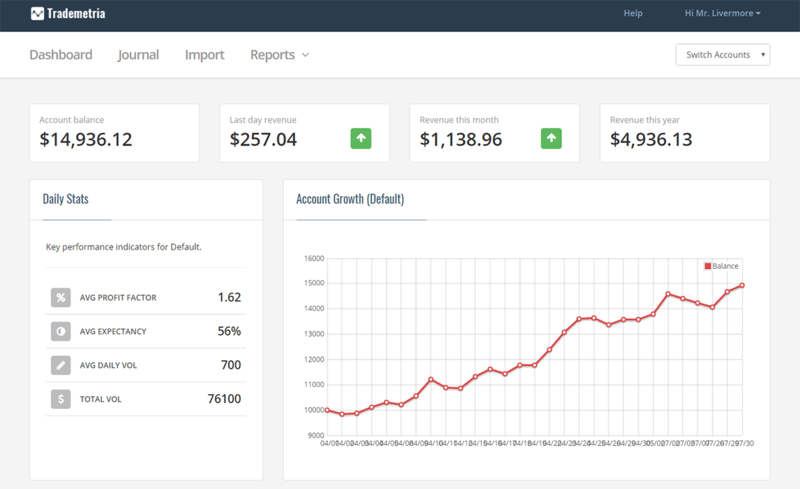 Forget your cumbersome trading spreadsheet. Full WYSIWYG HTML editor to log your trading events, emotions and behaviors. Don't you hate logging in to 4 different brokers to find out how much you are up? 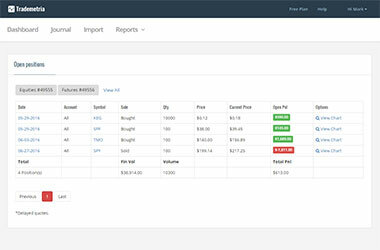 Our system consolidates all your open equities positions in a single screen. 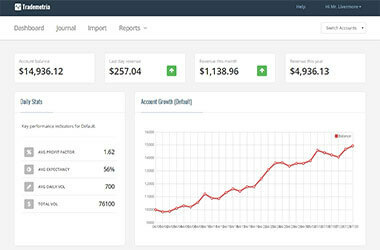 Set account goals, add your own commissions, custom fees and have full control of your trading business. Organize your backtests, view future pnl projections, segregate pnl by longs, shorts, instruments, compute and add fees to your backtesting reports. We support futures, stocks and options for US markets and forex. Visit our help page for a full list of supported instruments. Upgrade your trading business. You are seconds away from improving your trading performance.